A strange thing happened in Washington, DC this past week. During a House Transportation Committee hearing, California Representative and vaping ally Duncan Hunter wasn’t going to let a hearing get in the way of his needs. Almost as casual as his line of questioning to the hearing’s attendees, Hunter pulled out his vaporizer, took a puff or two, and then went back to work like nothing had happened. But it did. As far as we can tell, this is the first time a government official has publicly vaped in the Capitol itself. Capitol grounds are considered non smoking — although former House Speaker John Boehner was said to smoke cigarettes during meetings in his office — but we’ll proudly take this as a first. Yes, I vape — as do millions of other Americans. And why do I vape? It is because it prevents me from smoking the real thing. E-cigarettes are a suitable alternative to cigarettes, and they could very well save my life, as well as the lives of so many Americans who are making their best effort to quit cigarettes. But more than just a simple puff, Hunter’s actions were political in nature. Proposed regulations were being debated that would officially ban vaping on airplanes at the time of the incident. Hunter opposed the move, and later voted against it. While he was unsuccessful in blocking the anti-vaping amendment, we still salute his efforts and thank him for his support. Rep. Robert Anderholt (R), Alabama: While Anderholt’s state stands to lose the most in a future where tobacco is less popular (his state relied heavily on tobacco production in the past), it’s not stopping him from fighting for vaper’s rights. He is one of the leading voices in Congress in opposition to the FDA’s new pre-approval process, sponsoring legislation to block the agency’s efforts. Rep. Fred Upton (R), Michigan: Upton’s position as chair of the House Energy and Commerce Committee gives him a bit of clout on Capitol Hill. Last year he and John Boehner and California Rep. Kevin McCarthy joined forces to pen a letter to Health and Human Services Secretary Sylvia Burwell. In it, the representatives pleaded Burwell to extend the grandfather date for e-cig products exempted from the pre-approval process. Right now, the FDA only exempts devices produced before 2007, long before most products arrived on the market. Instead, they suggest the grandfather date should be either April 2014 when the regulations were first proposed or whenever the actual regulations officially take effect. The Obama Administration: While the anti-vaping lobby might seem to be primarily made up of Democrats, that’s only partially true. While The Obama Administration itself has not necessarily taken a public stand either way, it did step in to block the FDA from banning online sales of e-liquids and vaping devices. This said, opponents do point out that it’s Obama’s appointees that are primarily responsible for pushing the harsh regulations through. 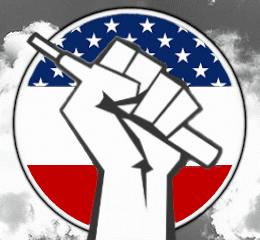 Although we do have some proponents in the United States, and hopefully that support continues grow, the political movement behind vaping remains lackluster in the US. Our friends across the pond, though, seem to be getting things right. In 2015, Public Health England became the first major government health organization to recognize the potential of vaping. Their widely cited report found e-cigs to be “95 percent less harmful than tobacco,” and they even encourage doctors to recommend e-cigarettes to smokers who are trying to quit. I think we should be making clear that [e-cigs are] a very legitimate path for many people to improve their health and the health of the nation. Cameron is an ex-smoker and the first world leader to publicly support vaping. As they say in politics, “vote early and vote often.” The only way you can make a difference is to actually get out there and support candidates who support vaping. We won’t make a specific recommendation about which party to vote for or for whom, but it’s vital that you do some research about the candidates in your area if vaping is something you hold dear. This is a crucial time for the industry, and your participation in the political process is necessary. Yes… your vote does count! Do you know about other representatives or officials who support vaping? Please share in the comments below to help spread the word.